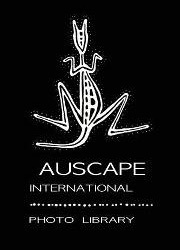 Auscape International is a stock photography library based in Australia with a collection of almost 250,000 images, specialising in wildlife and landscapes. It was founded by Jean-Paul Ferrero, a French photographer who moved to Australia in 1982 and established the agency in 1985. His immense body of iconic images forms the basis of the Auscape collection that has now grown to include the work of almost 200 of the world's foremost nature photographers.